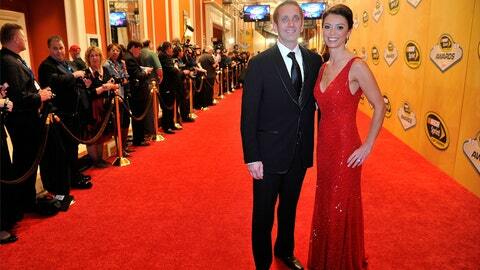 On Friday, NASCAR’s top drivers – and their beautiful significant others – will take to the red carpet for the 2013 Sprint Cup Series Awards (9 p.m. ET on FOX Sports 2). To help set the stage for the Sin City celebration, this edition of the Shake and Bake "Wednesday WAG of the Week" focuses on our favorite red carpet shots from years past. For a full gallery from the red carpet, click here.